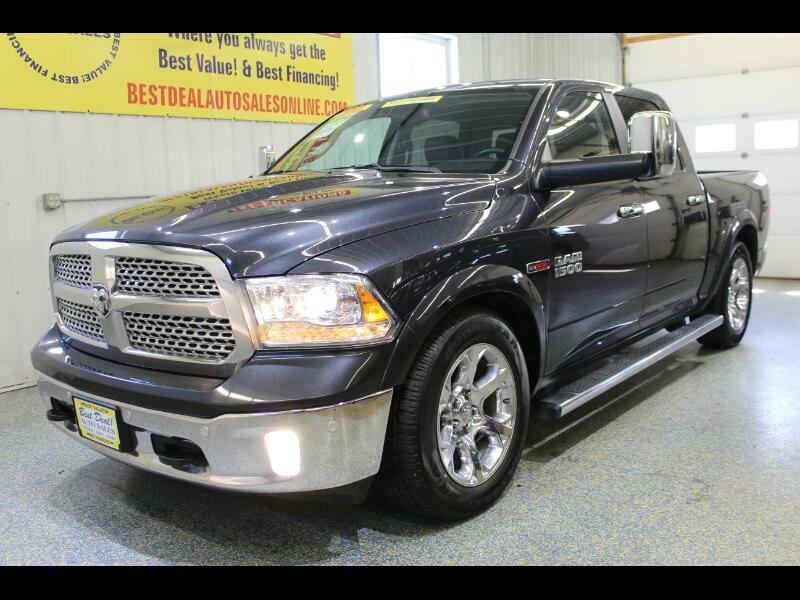 ***LARAMIE***ONE OWNER***ECO-DIESEL*** Powered by a 3.0L V6 Engine! Factory Remote Engine Start! Running Boards! Fog Lights! 20" Alloy Wheels! Backing Sensors! Towing Package! Sprayed Bed-Liner! ALPINE Sound System! System with Steering Wheel Controls! Leather Heated, Cooled and Power Seats! Second Row Heated Seats! Push to Start Button! Heated Steering Wheel! Trailer Brakes! Stop by or give us a call today! 574-269-4499. Family owned and operated since 1999 and still going strong!